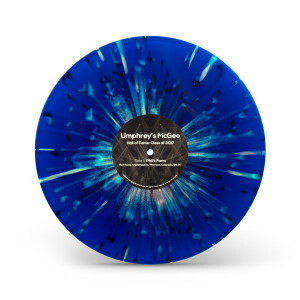 The eagle has landed! 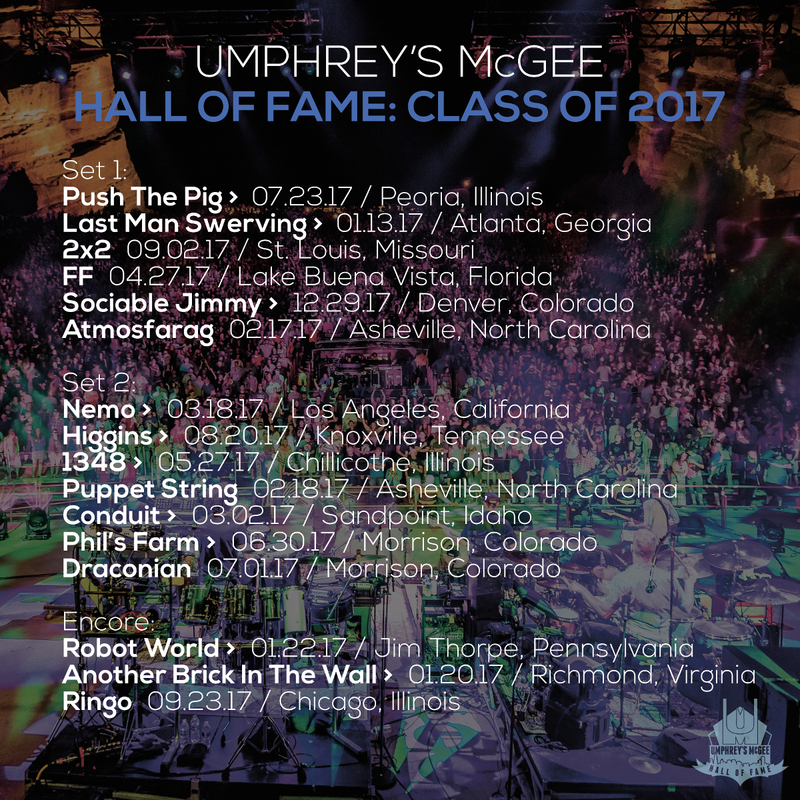 Umphrey’s McGee is pleased to unveil the Hall of Fame: Class of 2017, a robust collection of the best of the best live tracks performed in 2017 as voted on by the fans. 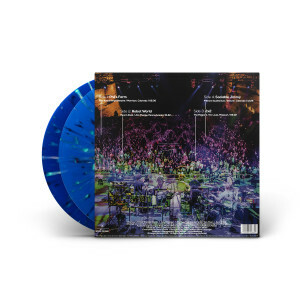 Available as both 180-gram splattered three-color vinyl and digital download, this year’s HOF collection contains 4+ hours of music and enough improv to kill a yak. 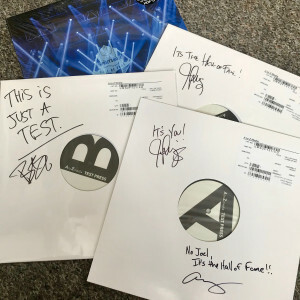 After fans voted on the album track offerings, selecting their favorites from 85 live shows performed in 2017, the band weighed in resulting in a joint band/fan collaborative set list. 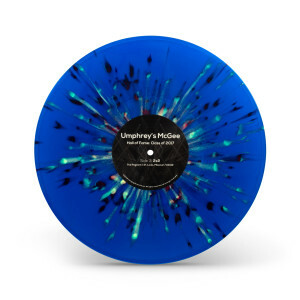 After further careful consideration, the cream of that crop get pressed onto a limited edition double LP. This year’s four-song LP is a heavy contender for “raddest UM vinyl to date,” produced in a vibrant blue tri-color splatter pattern, with each record having its own unique appearance. As always, all LPs include a download of the full 16-track digital album. 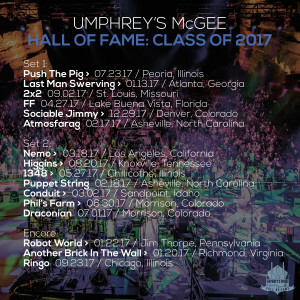 Clocking in with an average track length over 15 minutes, the Hall of Fame is sure to intrigue even the most seasoned, insatiable listener. Crafted by the people, for the people, the full Hall of Fame: Class of 2017 is now available *to* the people. 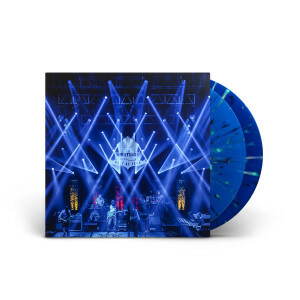 A limited amount of autographed Hall of Fame vinyl are also available while supplies last. Signed vinyl will ship beginning the week of July 16th.